Women’s ‘Doll’ flats from the Vivienne Westwood for Melissa collaboration. 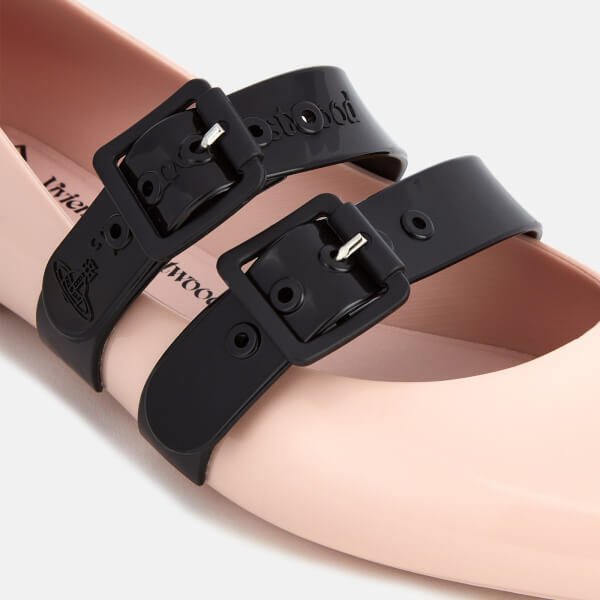 Crafted with a lightweight, flexible material for maximum comfort, the pale pink shoes feature a rounded toe and two contrasting straps with adjustable buckle fastenings. Featuring a padded footbed for support and set upon a durable sole with a slight heel, the shoes are completed with iconic branding.